Caesars Entertainment Corporation of the US has entered into an agreement with Meraas Holdings to manage two luxury hotels and a beach club at the latter's Bluewaters Island development in Dubai. In late 2018, Bluewaters Island is expected to become home to Caesars Palace Bluewaters Dubai and Caesars Bluewaters Dubai -- both of which will represent Caesars Entertainment's first non-gaming resorts. Situated along the beachfront on a man-made island, these two resort hotels will include 479 five-star rooms. 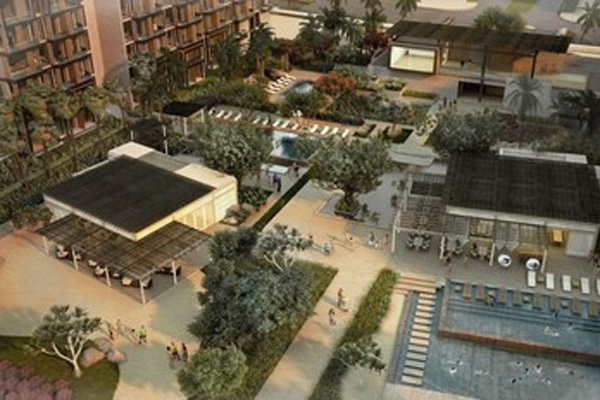 A variety of modern amenities will be a part of the experience including a beach club, Caesars Beach Club Bluewaters Dubai, indoor and outdoor pools, a spa with a dedicated wellness centre and space for meetings and conventions. "Meraas is dedicated to implementing the vision of our wise leadership and consolidating Dubai's status as a global tourist destination in line with the Dubai Tourism Vision 2020," said Abdulla Al Habbai, group chairman of Meraas. "We are creating unique experiences and leveraging strategic partnerships to showcase the best of what Dubai can offer to its visitors. The landmark arrangement with Caesars Entertainment, which aims to establish Bluewaters as a world-class tourist attraction with exclusive international entertainment opportunities, is a significant achievement for the emirate's thriving hospitality and entertainment sectors." Caesars Entertainment is known globally for its diverse portfolio of offerings including its proven track record as trend-setter in the entertainment space. With global superstars signed to its roster of regular performers, Caesars Entertainment has become the third largest live entertainment promoter worldwide and its Planet Hollywood property in Las Vegas is home to the Zappos Theater – the number one theatre venue in the world. This development exemplifies Caesars Entertainment's growth strategy. Among other projects, Caesars is developing an integrated resort in Incheon, South Korea, has announced plans to build a meetings and conference centre in Las Vegas and has broken ground on a new Harrah's-branded facility in Northern California. With more than 55 million members, Caesars Entertainment's Total Rewards is one the world's largest loyalty programmes and acts as a tourism driver for the cities and destinations in which It operates. Total Rewards has successfully introduced its members to new experiences around the world – which will now include the offerings found in Dubai.